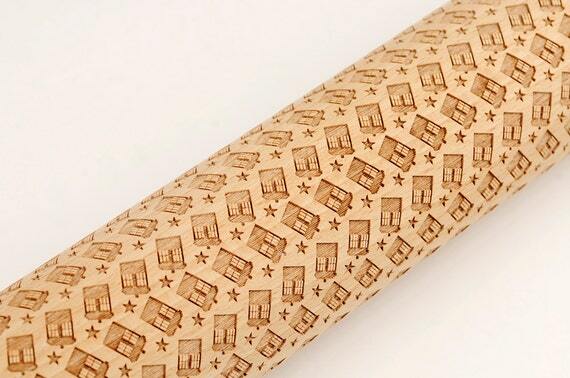 The wooden rolling pin is unique, carved with Original pattern designed by me. It can perfectly create the unique pattern on your cookies, pies and fondant. It is not only used by bakers, but also be a creative gift. The overall length of this rolling pin is 18 inch (10 inch without the handle) and the diameter is 2.5 inch. It is made of beech, the native timber imported from Europe. Obviously, they can ensure your food is safe. The top-class natural wood of beech is used, so it will not change color and there will not be crack in it. There is no need to smear protective oil on it. Do you love to read? Do you hate having to scrounge for a stray piece of paper/string/bobby pin/cat hair whenever you want to bookmark your spot? 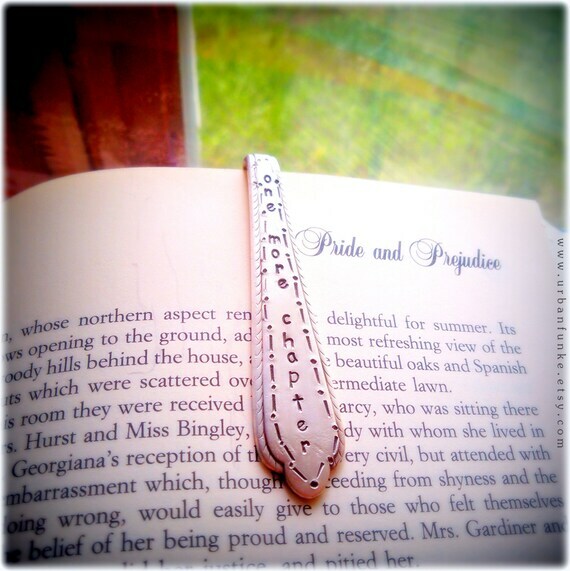 Well, throw away all those scraps of paper and buy this beautiful hand stamped silverplate bookmark with the words "one more chapter" stamped into it. There is an option to have your name added to the back of the bookmark for an extra two dollars, should you choose to do so. Choose the "yes" option from the drop-down menu at the top, then let me know your specifics upon checkout. Please note the size of the bookmark is not very big, so no SUPER LARGE names, please! 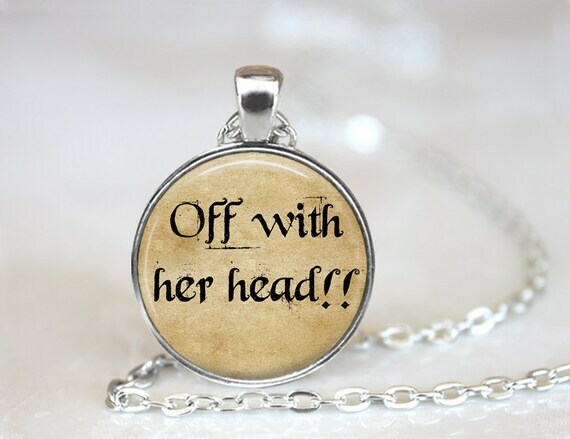 This listing is for a handmade art pendant featuring a quote from the popular children's book, Alice's Adventures in Wonderland by Lewis Carroll. 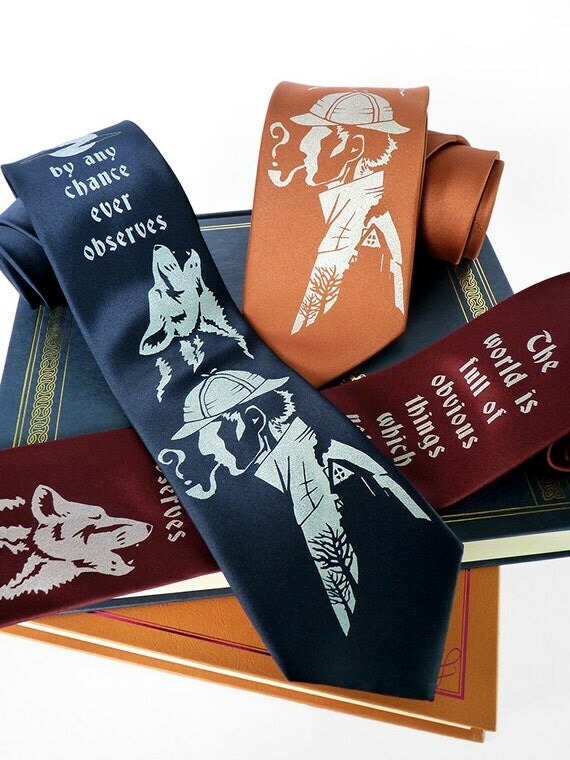 It’s only logical that you’d be the sharpest dressed person in the room in our Sherlock Holmes Necktie. One could even say, it’s elementary. A splendid gift for literary geeks, stylish sleuths and lovers of mystery.